Government’s knee-jerk reaction to a problem is to pass a law. It makes it look like the government is responsive. Never mind if the law is flawed, or doesn’t properly address the issue that was the stimulus for the law. You can’t see me (can you?? ), but if you could, you’d see a normally mild mannered individual jumping up and down, fist-pumping the air. Barry, this is exactly the point I made when discussing Schumer’s new law. The fact that the Government is standing up and taking notice of the problem of patent trolls and their patent trolling ways can’t ever be considered a bad thing, but we have to remember that it was, in fact, a government agency (hello, USPTO) that started this whole racket in the first place by issuing poor patents, among other missteps. So to go back to that watering hole and expect a solid solution is just…well, kinda dumb. The law, however, is a mess, and we wonder whether the legislature had anyone with experience in patent litigation actually look at it before they approved it. … if a company sees that another company is infringing one of its patents, in its first letter to the offending company it has to reveal many details about the case, including which patents are being infringed, who owns the patent, and how the patent is being infringed. In patent litigation there are tactical advantages to being the first one to file a lawsuit. If a company is being threatened with patent litigation it can file a declaratory judgment, in essence “heading the patent owner off at the pass” and taking the initiative. As a result, first letters from patent owners may intentionally be vague, and may request a forbearance agreement, meaning that the allegedly infringing company agrees not to sue first unless certain conditions are met – before the details are revealed. Here’s where the VT law differs from what the G-men on Capital Hill are doing: The word you’re looking for here is “exposure”. I’m not a lawyer, and that sort of legal maneuvering may well be strategically sound, but I can say this: if you’re hiding something, there’s a problem. If I’m being sued I ought to be able to know who’s really suing me and what for. Right? I mean, isn’t that what truth, justice, and the American way is all about? Besides being Superman’s rally cry, I mean. 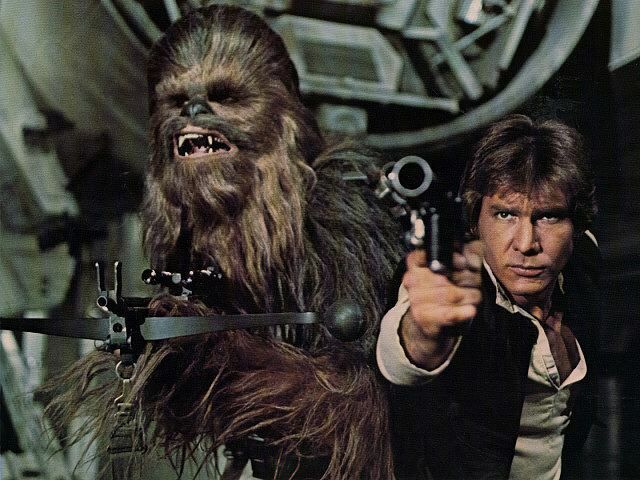 Howlers to the left of me, blasters to the right. If you’re not doing anything wrong, if suing people for patent infringement over legitimate patents that are actually being infringed is what you’re doing, then SAY THAT and quit sneaking around. Let people know what you’re after and let the chips fall where they may, law-wise. Let a judge and jury decide because that’s kind of what the court system is for. It is, as every complaint I’ve ever read says, a “prayer for relief”. 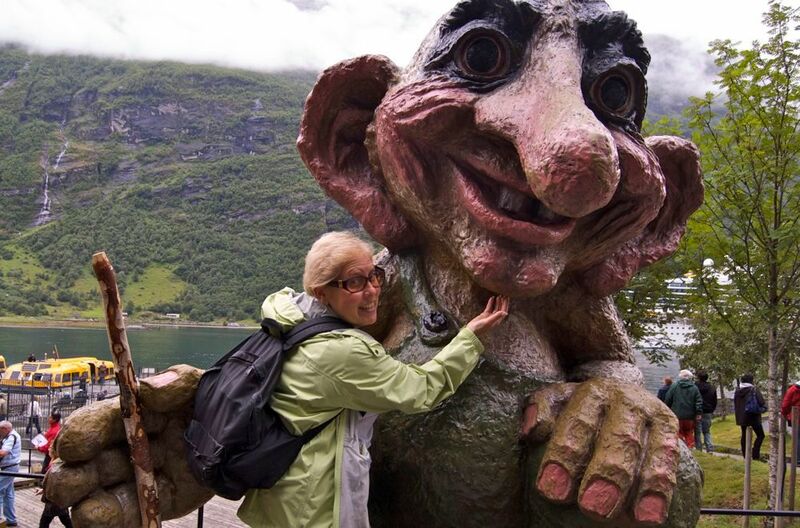 That’s what we’re looking for…relief from the scourge that is the patent troll. As has been noted here before, I don’t think going to the Government for help is the solution. I use a big “G” here for the feds…what VT is doing is different, and takes a bigger and better sized chunk out of the trolls than what the SHIELD act and Schumer are doing. The fact that the “most notorious patent troll” out there is complaining about it says something, no? Perhaps they’re a little concerned that their style may start to get a little cramped. But hey…for a few sentences there, we had a good thing going, IP Nav! Thank you for the dinner and nice bottle of wine, but I’m not holding out hope for a second date. 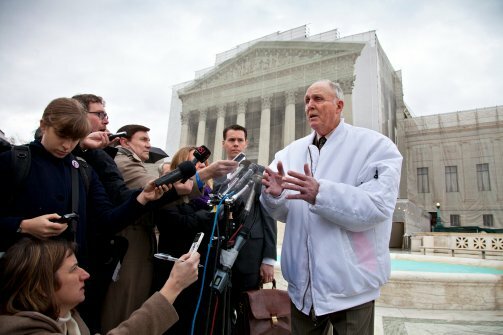 When I first read this article by the folks at Techrights.org I thought I had been accused of being a lawyer. Now I’m no shrinking violet and I like to think I can take it as well as I dish it out, but to call me a lawyer? Oh no no no. No you did not just go there. Turns out? They didn’t, it wasn’t I to whom the author referred when he talked about “The aforementioned patent lawyers’ blog” so I went right ahead and told my people to stand down. Which I did, “I” being the only people that I call upon to defend myself and I. Wait, what? Anyhoo, I understand the point that Roy is making and you’d be hard pressed to get me to disagree that lawyers are a problem in the troll game. I would go look up all the times I’ve been critical of lawyers here but I have a business to run and breakfast to make buy and I’m lazy. But suffice it to say that one of the biggest issues with patent troll litigation is that the only ones who really make any money are the attorneys. I hear you, Roy! He says further that the major stakeholders in the patent industry have a vested interest in keeping the status quo, which is to say that they don’t really want patent reform so much as they want a scapegoat, and lo they have chosen the mighty Patent Troll for the role. This is an argument similar to one made by Gene Quinn at ipwatchdog…that the C-levels at that Big Tech Firm are all golfing and lunching together with the patent trolls and scheming to keep the fight going so that no true reform ever comes to the actual patent process. And also, as Gene intimates, Big Tech is actually selling off some of their patents to the trolls themselves (possibly and potentially Google and definitely Ericsson). Egads! If patent trolls were only targeting the deep pockets, then I would be much more apt to agree wholeheartedly with Roy’s premise. But as we’ve seen with Ditto and with the cloak-and-dagger-ish post over at Techdirt where the developer at a start up in NYC with the blurred-out face talked about how he has more attorneys than he does staff, the scope of the problem has expanded to target those very companies that are the backbone of America. More Americans work for small businesses than work for larger corporations and if those small companies are going to start getting attacked by trolls over bogus, nefarious, and spurious patents then that is a problem that goes beyond the lawyers involved. The key problem is not the trolls but the patents themselves. Lawyers-run sites don’t want us to limit the scope of patenting (their bread and butter). I think the first statement is true, the second one not quite so much. There’s clearly room for reform with respect to the patents being issued, no one can argue otherwise. But just because the lawyer-authored blogs are hammering the trolls doesn’t mean that’s all they see as the problem. It’s just the most pressing one and the one that ‘s eating up all their time and all their clients’ resources. Not to mention, patent trolls are all over the news because several congressmen have decided to come forward and proffer some relief in the form of some new laws…the lawyer blogs are simply writing about what’s relevant. Where’re you going to get a picture of a patent itself that’s as cute as that? And the cast of characters grows. MPHJ and its principals may have gone too far. They’re now the subject of a government lawsuit targeting patent trolling—the first ever such case. Vermont Attorney General William Sorrell has filed suit in his home state, saying that MPHJ is violating Vermont consumer-protection laws. 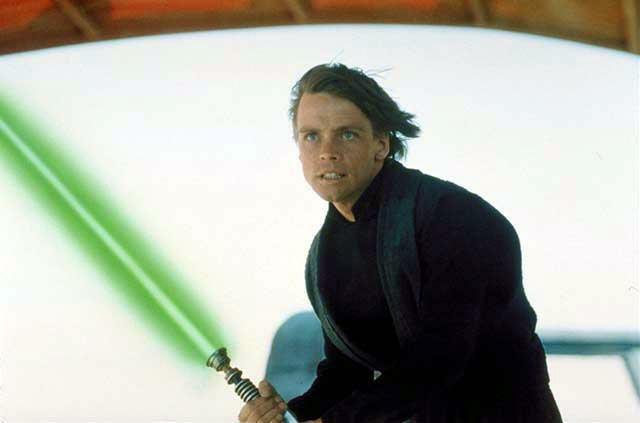 William Sorrell, lightsaber in hand (and how ironic is that because lightsabers use light and scanners use light so it’s pretty much exactly the same thing, is what I’m saying), has gone on a troll hunt. I didn’t take this picture. George Lucas? I hope you didn’t make a big mistake. In just the same way that our farm boy hero jumped on the rebellion bandwagon to try and take down Lord Darth Vader, that empty shell of a man machine who was nothing more than a puppet for Emperor Palpatine, Mr. Sorrell has lept into the patent fray to try and take down the other “most notorious troll” in the game. And boy, did he pick a winner. The cast of characters in this party? Don’t that beat all. 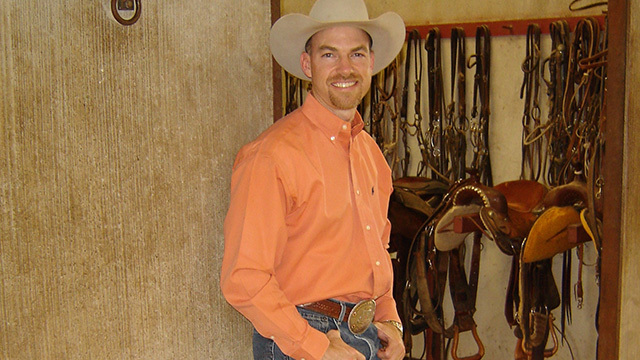 There’s a saying in Texas that I think best suits this image: “All hat, no cattle.” Ahem. Read all about them folks here in the Arstechnica write up by Joe Mullin. But Vermont investigators were able to get additional information not available to defense lawyers (or journalists). For instance, they discovered that there were forty different shell companies sending out the letters, all under the control of MPHJ. Giddyup. Forty different shell companies? What’re you trying to do, MPHJ, compete with Intellectual Ventures? You’ve got a long, long, long, long, long way to go, but I admire your efforts so far. The thing is, the actual merits of the case (they’re going for violation of consumer protection laws) don’t really matter. What really matters is that Vermont is bringing the party to the trolls, going on the offense. And they’re doing it on two fronts: this lawsuit as well as a new bill that, if made law, will allow for penalties for “bad faith” lawsuits. Like that doesn’t cover 99.9% of all patent litigation, am I right? This one I can claim. Totally photoshopped this bad boy. Probably I’m alerting the whole world to the fact that I listened to Rush Limbaugh in the 1980’s by saying “Dittos”, but there you go. Don’t hold it against me, I was 22 and most assuredly not as self-aware as that other girl who talks about being 22. Because I follow Fark on twitter I saw that Ditto.com is funding an Indiegogo campaign against their patent troll. Isn’t that a sweet way to put it? You know you’ve hit the big time when you get your own personal patent troll or two. Someone should open up an accessories store for pet trolls. Number one item on the inventory list? Shock collar. 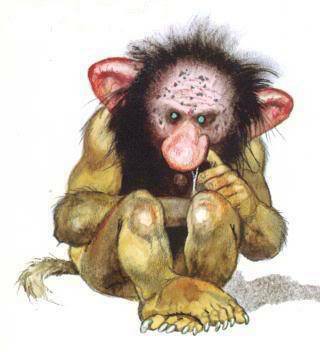 When I get MY pet troll, I’m going to teach him to quit picking his nose in public. Because I hate patent trolls love t-shirts and would do almost anything for love one, I contributed to the campaign. I hate that they are having to spend money fighting off a troll and decided to pitch in a bit to help the cause. Sort of putting my money where my (big fat) mouth is. So, yeah. They’re a troll. Indeed, Endress said she’s in a tough spot, where “we cannot afford to win” — in other words, the company doesn’t have enough money to defend itself in court, and even though Ditto has raised venture funding, the threat of litigation scares off any additional investment. The company has already had to lay off three engineers, Endress said. 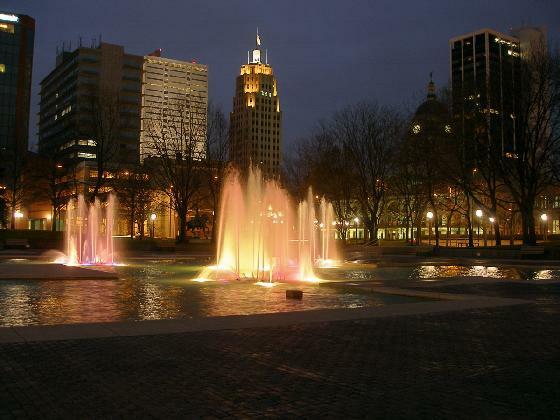 …the threat of litigation scares off any additional investment. Now, I do realize that being able to virtually try on a pair of glasses before buying them is not akin to, say, curing cancer. And I further understand that awesome eyewear is a privilege in this country, and not a right. But what is a right in this country, and in fact, is one of the top three afforded to the citizens of this great nation via our founding documents, is the pursuit of happiness. Kate Endress et al are pursuing happiness by building a company and providing a service to their customers. Patent trolls like Lennon Image Technologies are pursuing…what? Bottom-feeding scavenger tactics, preying on a young company that they know, they know, cannot afford to fight them. No, I think collective action around these demand letters is a better first start, and I may or may not have a way to do that. (Hint: I might have.) Let’s start tracking who, where, and when these guys hit and get a collective response going, no? If ever there were a series of words that no one in their right mind would ever think to string together, the title of this post is it. Yet? It be true. Mark Grady, founder and president of INdigital Telecom, said Wednesday that “the inappropriate assertion of poor-quality overly broad patents” threatens 911 networks provided by his company and others. No matter how you put it, it appears the troll infestation has reached the low point of going after those who provide services that help ensure our very safety. Niiice. Thankfully, I’ve never had to avail myself of the services of 911, though I did have to call an emergency vet once when my dog ate a dead bird and I was sure he’d have Avian Flu within the hour. (They laughed at me and told me I was being ridiculous, so thanks for that, Emergency Vet People.) But how can they continue to innovate and find better ways to better serve the public if they’re fighting off trolls? “It is simply unfair to burden small businesses like ours with patent allegations that are no more substantive than a TV commercial,” Grady said. “No more substantive than a TV commercial.” Ouch. I’ve compared patent trolls to a lot of things in my life, but a TV commercial? That’s just low, man. Love it. Well said. I don’t believe it’s Congress’s intent either. I think it’s an aberration, a deliberate circumvention of the spirit of the law to use poorly-written patents to go after companies via extortionistic tactics. And I think, much like Alan Schoenbaum at Rackspace has said, that it’s going to take an army of companies and solutions to combat the problem. There are more and more solution opportunities out there, and eventually, we’re going to win the battle as more and more Mr. Grady’s stand up and demand action. I don’t know why it affected me so personally, but I was really sad to see Vernon Bowman lose the soybean case to Monsanto. I guess he’s like the Grandpa I never had growing up because we lived 2000 miles away from either set of grandparents as a result of family feuds my father’s job. But if I could have picked a grandpa to be mine, it would’ve been him, with his cool tractor and mustache, and even cooler dog. Alas, Monsanto’s attorneys were able to convince the Supreme Court that my proxy Granddad is an intellectual property thief because he planted soybeans and they (*GASP*) grew in the ground, as seeds are wont to do. 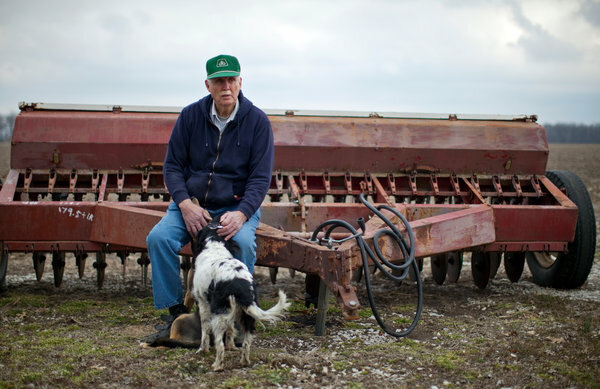 Vernon Bowman, an Indiana farmer, thought he had come up with a clever way of avoiding the cost of paying Monsanto’s licensing fee. Bowman bought soybeans that were sold to be consumed, not planted, from a grain elevator, planted them, sprayed them with Roundup Ready, and then planted the seeds from the surviving plants. (Such seeds were of course from Roundup Ready plants, since they had survived the spraying of Roundup). OK first of all? Don’t talk about my proxy Granddad like that. “Thought he had come up with a clever way of avoiding the cost of paying Monsanto’s licensee fee.” Is that really what he did? It was on purpose, what he did? Either way, the personalities of both monolithic Monsanto and sweet farmer Bowman are what kept this case in the news. We know it cannot possibly be about the details of the doctrine of patent exhaustion because OMG how boring can you get? Who’s reading a bunch of articles about that? Puffy coat, for the win. Put that in your Supreme Court docket and smoke it, folks. OK first of all, this is totally not about you so no offense meant, but I take issue with the question-asker. Although I’m no wordsmith**, the question is ambiguous as written. Did s/he mean “Is there a way to make a profit by patent trolling, by buying sham patents and suing people over them even though you don’t contribute anything to society that actually uses that patent?”, or did s/he mean “Can I make money from a patent troll, perhaps by teaching them a trick or two, creating a viral YouTube video, and getting an appearance on the Today show?” Because really, those are two entirely different questions. As it turns out, it doesn’t matter which question was actually asked because the answer you provided a) isn’t even really an answer and b) doesn’t apply to either interpretation of the question. For decades, companies would pour millions if not billions of dollars into research and development to create patents. These patents would often just sit around in research labs, and while companies felt they had value, they were never sure how much. But that’s all changed as companies are waking up to the fact their patent and technology portfolios are valuable, especially if another company is infringing on them. Some companies are finding that competitors are illegally using their patented technology and are now asking them to pay royalties to keep using them. This is not the most widely-accepted definition of patent troll, I don’t know if you knew that? But nevertheless, I don’t think it’s so much that “companies are waking up to the fact [that] their patent and technology portfolios are valuable” so much as they are being shaken awake with a big ol’ air horn to the ears, blown by patent trolls looking to monetize anything they can get their hands on. Acacia then goes to the company it says is infringing on the patent, collects the royalty and then shares the payment with the patent owner. What? You make it sound like Acacia and their ilk are the resident Eagle Scout, standing on a street corner in the old part of town awaiting sweet innocent elderly women who need a hand with their groceries as they cross the street, and then jumping in to provide all the assistance they need, taking only a portion of the change they got from their purchase as reimbursement for their kind deed. That right there? 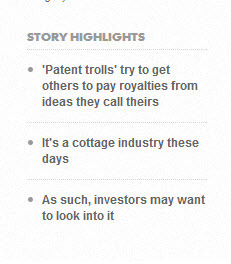 SO NOT WHAT PATENT TROLLS DO. And you can’t say you didn’t think Acacia Media was a patent troll because the (albeit poorly worded) question was asking you about patent trolls and you answered with a description of Acacia Media. Another company in the field is RPX, which helps companies protect themselves from patent claims. I love that you mentioned them because they are one of the great American capitalism success stories, in that they saw a problem and are using a market-based solution to fight it. I suppose it’s not wrong to say they are “in the field” of patent trolls, but a stronger distinction as to which side of the battle they’re on would have been nice. 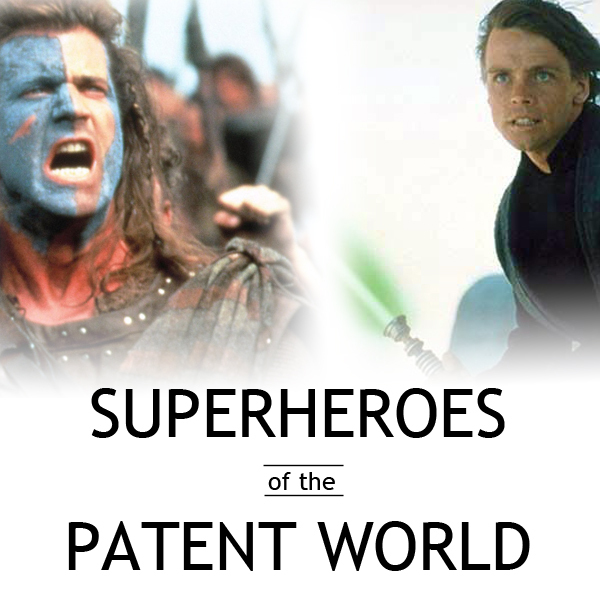 They are not just there to help protect companies against patent infringement claims. They are there to help protect companies against patent infringement claims brought on by patent trolls. The very best part of your reply was the summary box, which I acknowledge that you may or may not have actually created because probably a cute summer intern does them for you. But honestly, what is this? First foul? Unnecessary single quotation marks on the words “patent trolls”. Ten yard penalty, loss of down. Look Mr. Krantz, I’m not trying to be harsh, truly. It’s just that I think you missed a great opportunity to educate, that’s all. There are a lot of great folks out there doing a lot of great things to fight a problem that is costing this country in terms of real dollars and in lost innovation opportunities. I may or may not be one of them. You’re probably wishing you’d just taken the opportunity to talk by phone now, huh? **Turns out? I actually am a wordsmith. 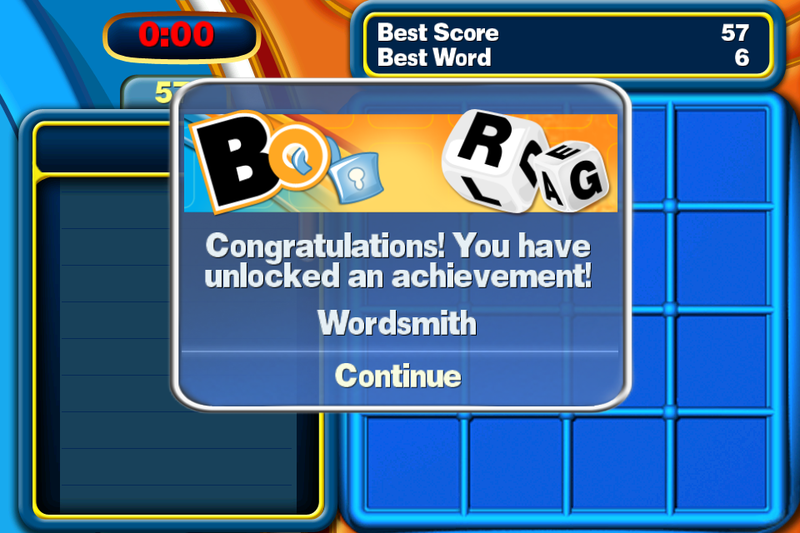 Boggle says so. …and because I’m nothing if not the most competitive person you’ll ever meet on the internet, I feel compelled to point out that that is not, by a long shot, my best score up there in the right-hand corner. Someone who shall remain nameless (JOHN!) got a hold of my iPhone and messed with my Game Center account. That’s my story and I’m sticking to it.